With the cooler temperatures creeping up on us lately, it has put me in the mood for chili season. 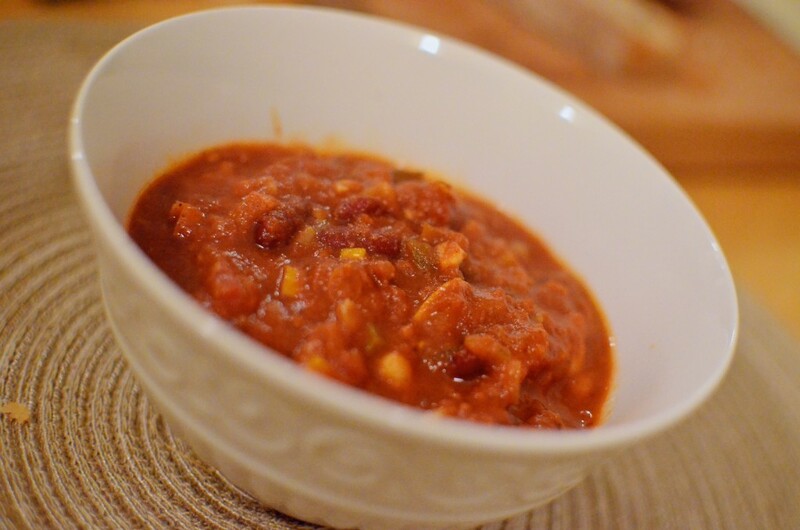 Trying to warm us up and incorporate some veggies we got in our CSA, I created this spicy and protein-packed chili! Including white beans (i.e. navy beans here) gives the chili another dimension that chili-lovers should try. I call this chili “late summer” chili, as I used several veggies we already had on hand for the season, but feel free to include any veggies that would be suitable in your refrigerator or garden. In a large stockpot, heat up the olive oil and sauté the green pepper, onion, and garlic until they have softened. To add flavor early, also toss in some chili powder with the veggies. 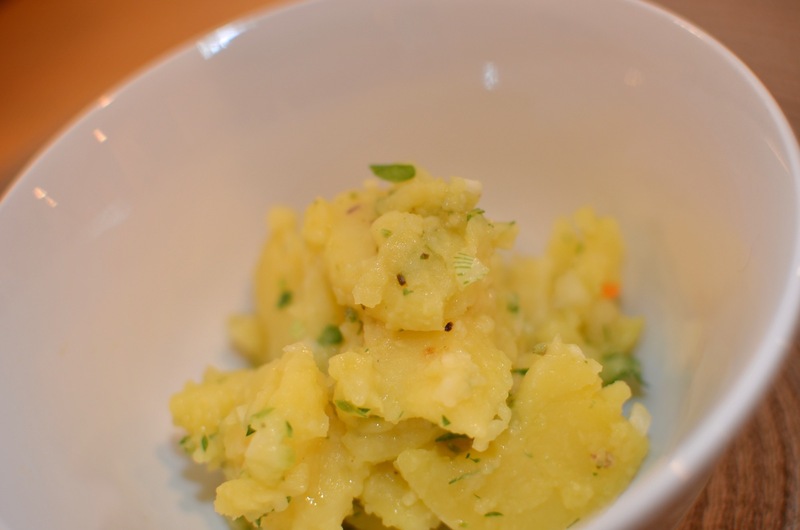 Add the summer squash and sauté until slightly softened. Add the beans, whole peeled tomatoes, and crushed tomatoes, making sure to add more chili powder after each ingredient, mixing well. Let the chili simmer and cover for approximately 30 minutes. Add salt and pepper towards to end and cayenne pepper, if using. Cook 5-10 minutes more. Serve and top with your favorite vegan cheddar cheese, if desired. This was an amazing chili and quite spicy. It was also a wonderful way to use up my summer squash and provide another texture to the chili. I served it with a mixed green salad and crusty sourdough bread. Divine! For our “Kitchen Pharmacy” weekend at the Natural Kitchen Cooking School, we received The Balanced Plate by Renée Loux. This was a pleasant surprise as it is not a book I already owned, nor was I familiar with the author. 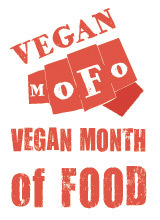 The book focused on whole foods, macrobiotic living, and healthy living tips. 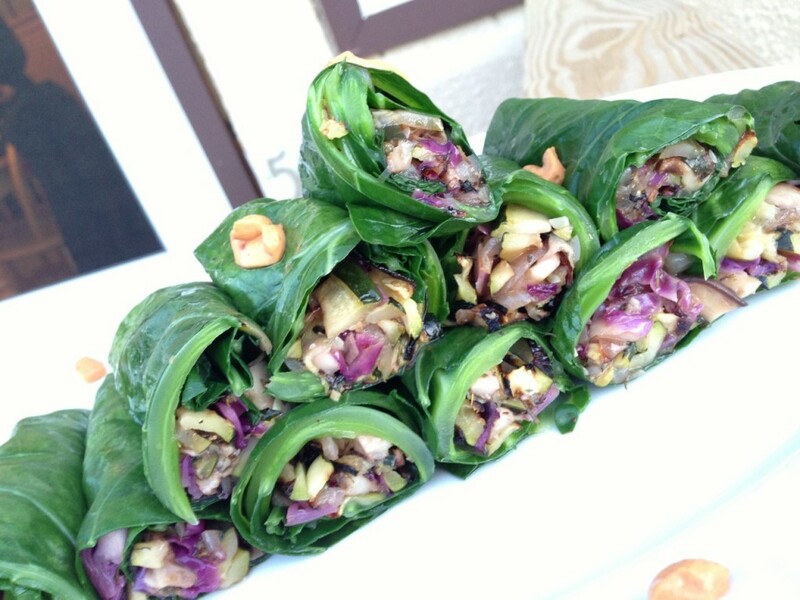 I chose to make the summer collard wraps from the cookbook based on the pantry items I had on hand. I omitted the dipping sauce that accompanied it as I was missing many of the key ingredients. I used Chipotle Vegenaise as a garnish and option for the dipping sauce (although it didn’t necessarily need one). 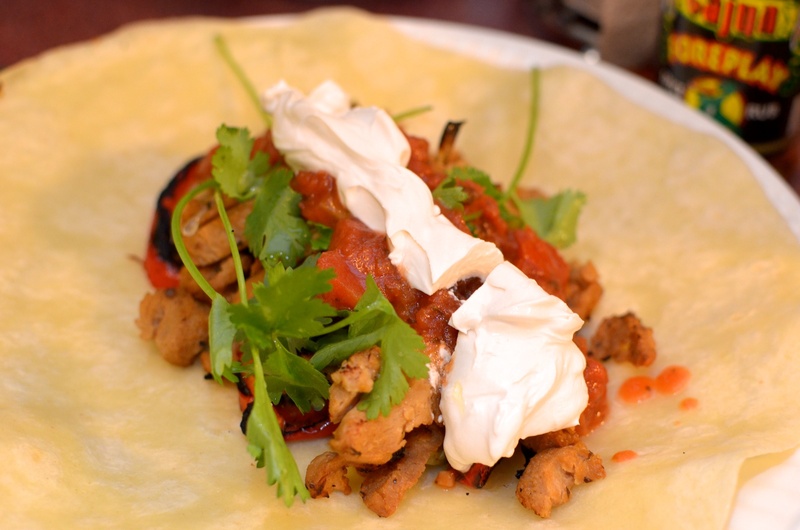 The wraps were filled with zucchini, mushrooms, onions and various spices and flavorings. They were good and seemed very healthy and filling. However, I think there were too many dried herbs in the recipe. Had I had the fresh varieties of oregano, thyme, and basil, I believe the dish would have come out more appealing to my palate. The color and simplicity of the dish though made me ready for summer! 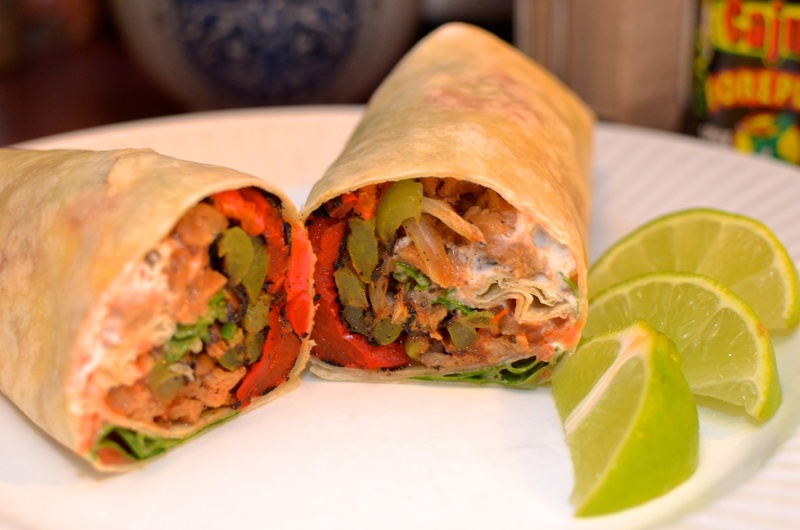 Overall, I’d rate these wraps as 2 1/2 out of 5 carrots on the veganlicious scale! I’ve always wanted to make my own seitan, but figured it would be too time consuming and overwhelming. During our April weekend of classes for “Foods in a Flash” at the Natural Kitchen Cooking School, we tried our hands at making homemade seitan. At school, it came out fantastic…with the help of my classmates and the assistants, of course! At home, it seemed easy enough to make, but mine came out softer than I would have liked it. I’ve skimmed online and found this is a common issue for some and recommendations have ranged anywhere from kneading the flour more to using other methods besides boiling (i.e crock pot or poaching). I also used shoyu (as that was one of the options for ingredients) and found it a bit salty for my tastes. I will need to refine my methods in the future, but it was fun to try it for the first time. I used a combination of chunks of the homemade seitan, portabella mushroom, grape tomatoes (although cherry tomatoes are better for grilling if you can get them), green and orange peppers to make kabobs. Even though Mr. Tuxedo Cat and I aren’t huge fans of mushrooms, we found the portabella palatable in this meal. 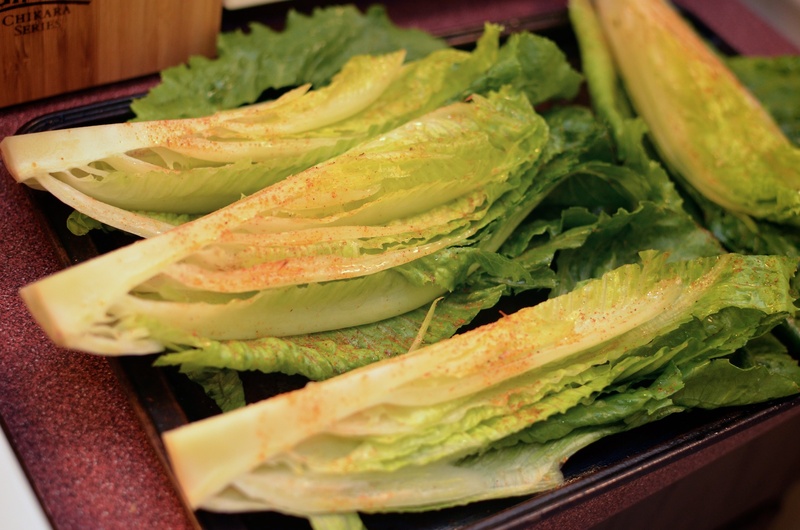 Another tasty and classy garnish we learned how to make in class was grilled romaine. All I can say is wow! 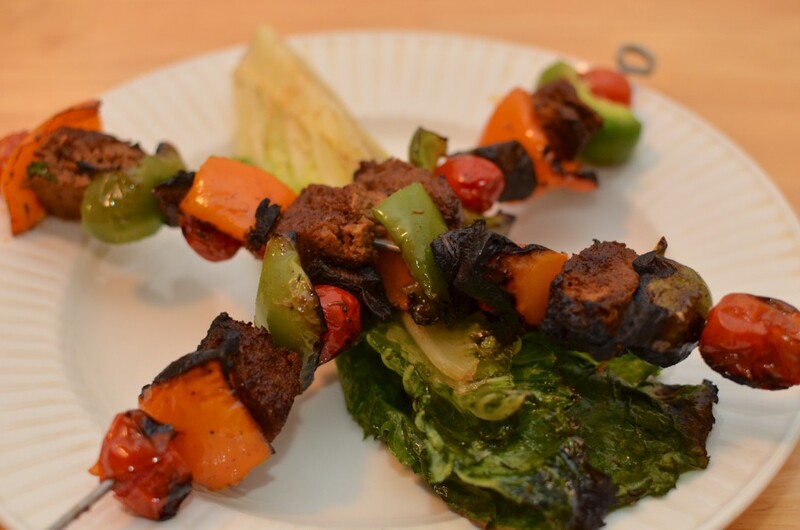 Using a little sunflower oil and a dash of cajun seasonings, the romaine lettuce wedges were thrown on the grill with the kabobs in preparation for the elegant plating. They were easy to eat with a knife and fork at the end. Using a recipe from Horizons: The Cookbook by Rich Landau and Kate Jacoby (now owners of Vedge, one of the top restaurants in Philadelphia, if not the country), we made chimichurri sauce to go over our delicious seitan. My sauce came out thinner than I would have liked, but overall it gave a flavor punch with ingredients like cilantro, mint, parsley, and lime juice. 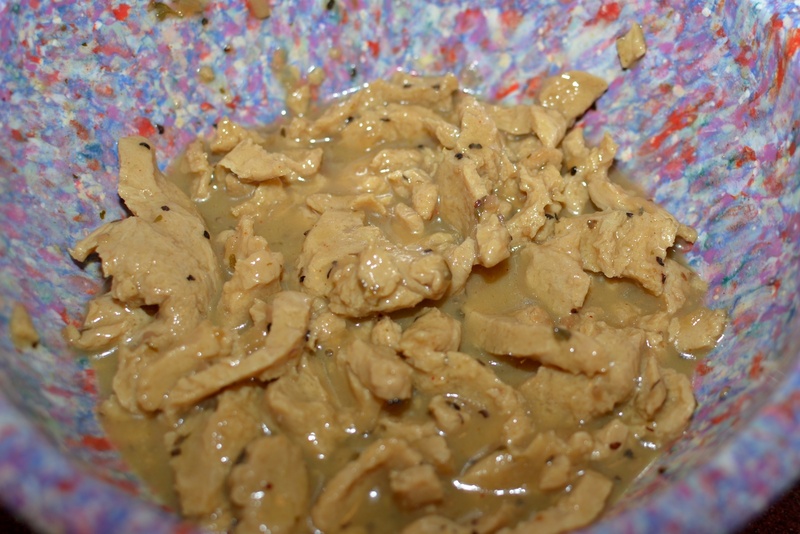 We had a lot of sauce leftover, so I used it to marinate seitan later in the week for fajitas. It would also be amazing as a dressing on a salad. This was a wonderful meal to get ready for summer and the grilling months. 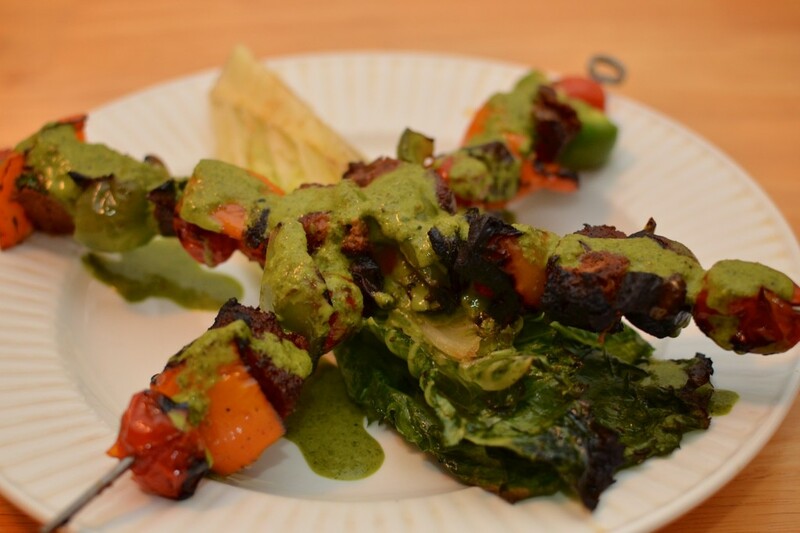 We enjoyed it and thought the marinade for the seitan and chimichurri were great. I imagine the dish would be even better if I can get the seitan consistency a little firmer next time. Overall we’d rate the dish as a strong 3 1/2 out of 5 carrots on the veganlicious scale! I wanted a simple summer meal to throw on the grill, while incorporating some green veggies and citrus notes. 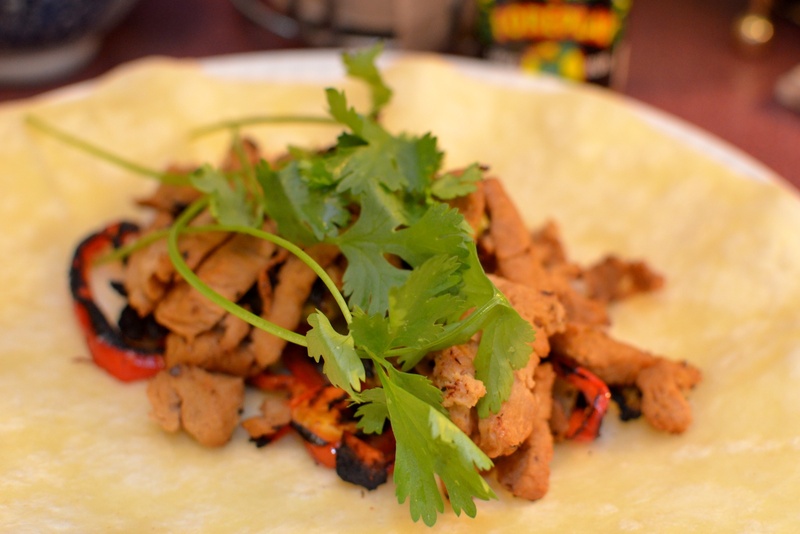 What sprang up from what already existed in my kitchen were these wonderful seitan fajitas! The lime juice and marinade, along with the fresh cilantro gave this meal an extra kick. Marinate seitan strips with the mojito dressing (or any other lime based dressing) in a bowl in the refrigerator for a couple of hours (1 hour minimum). 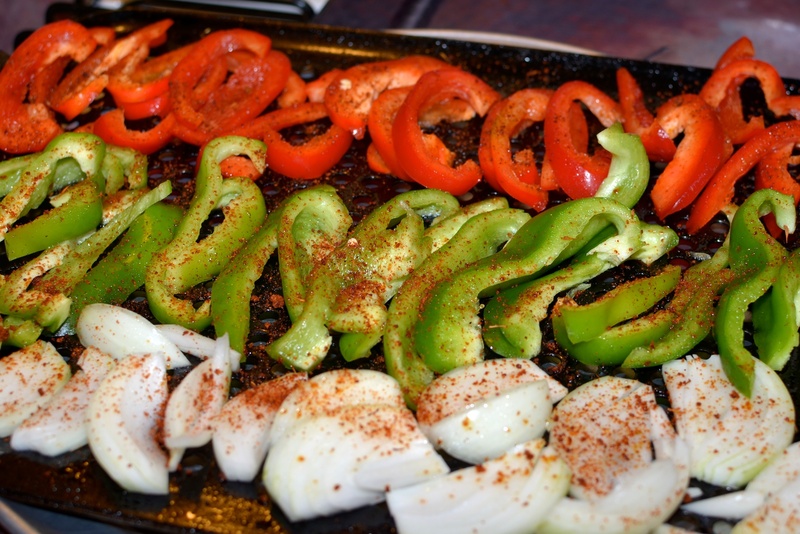 While seitan is marinating, slice the peppers and onion and lay out on an oiled tray suitable for grilling. Spray or drizzle lightly with oil and cajun seasoning. 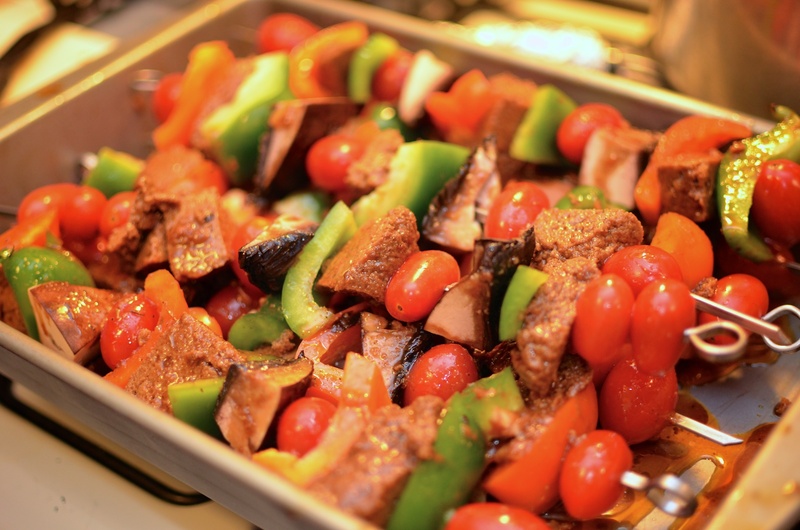 When seitan is done marinating, put on tray on a preheated grill (on low) along with the veggies and cook until browned or edges blackened. 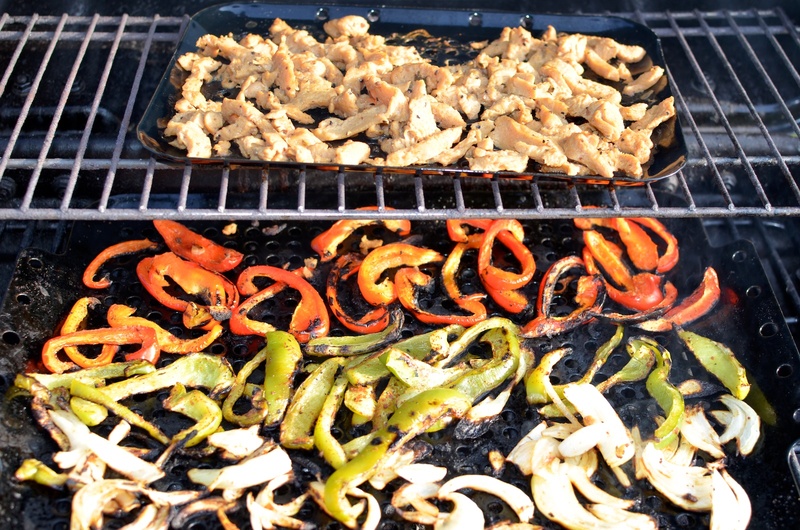 Alternatively, the peppers, onions, and seitan strips can be sauteed in a large pan on the stove top. If cooking on the stove top, cook until the veggies are softened and the seitan is browned. When done, put the seitan and veggies in a large tortilla. Add salsa, fresh squeezed lime juice, sour cream, and fresh cilantro. Wrap and cut into two pieces if desired. Enjoy!